According to reliable sources, the lone vehicle driven by a Filipino national known simply as ‘Dennis’, crashed into a utility pole in the area, plunging a great section of those communities into darkness for some hours. 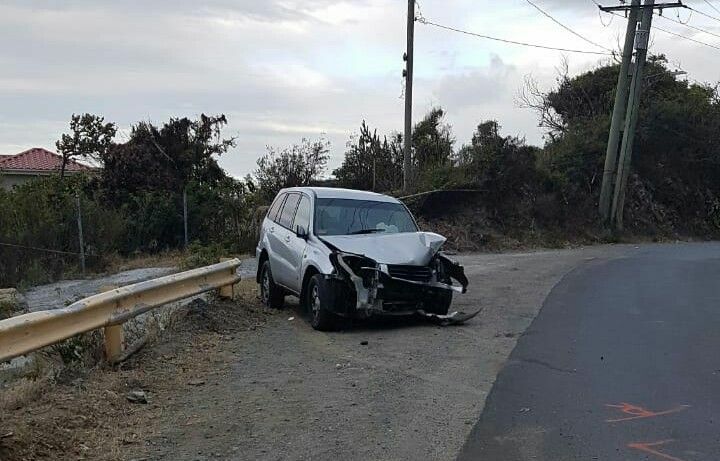 Eye witness reports indicate that the man suffered critical head injuries as a result of the crash with one resident telling Virgin Islands News Online (VINO), "He face mash up bad". VINO will bring more details as they become available. Could you believe 12:50am when I pass there no police no ambulance and 5 eletricty truck trying to put back on power. Windows up door lock man knock out. @ The Reaper.. you’re heartless..perhaps u meant to be funny but u weren’t.. if it were u would u have wanted someone to say that about u?.. what u should do is pray for that person..I pray both him n that lady that got hurt Russel hill will be ok..
political office.. All I’m saying is show some compassion.